If you don't update your business website very often, you may want to rethink your online content strategy. A little more than eight months after unveiling "Panda," an update to Google's search algorithm that puts a higher priority on high-quality content, the search giant has announced a new update that aims to provide users with "the most up-to-date results." "Given the incredibly fast pace at which information moves in today's world, the most recent information can be from the last week, day or even minute, and depending on the search terms, the algorithm needs to be able to figure out if a result from a week ago about a TV show is recent, or if a result from a week ago about breaking news is too old," Google says in a blog post announcing the big change. 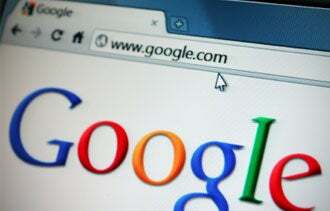 This latest update is expected to affect as much as 35 percent of all searches on Google, the company says. The Panda update, which had businesses scrambling to stay maintain their search rankings, was said to affect 12 percent of searches. Specifically, Google says the update will impact searches for recent events or "hot topics," regularly occurring events, and searches for information that changes often but isn't necessarily a trending topic or recurring event. "This change better determines the level of freshness needed for each query and promotes fresher results accordingly," a Google spokesperson says. "We're continuously working to improve our search algorithm so that we provide users the most relevant answers to their queries." "It seems to me that the biggest impact on small-business owners will be that, in some industries, it will be near impossible to get visibility with a small, rarely-updated website," says Matt McGee, executive news editor at SEO-focused news site Search Engine Land. "If the business is in an industry where there's regular news, where things change on a frequent basis, it looks like never-updated websites won't have much chance of being visible on a lot of queries." One effective way for businesses to generate fresh content for their website is to create and frequently update a business blog, McGee recommends. You can write short, informative posts on topics such as industry news or new on your business's new products or services. "Blogs have always been great SEO weapons," McGee says, "and this change only seems to emphasize the value of publishing quality content on a regular basis." How often do you update the content on your business website? Leave a comment below and let us know.